Since 2004, the team here at American Profit Recovery has helped countless fuel and energy dealers create effective and promising solutions to the never-ending task of getting paid on time. Many fuel companies like yours spend more time, energy and staff resources it seems, on settling accounts than making deliveries or handling emergencies. 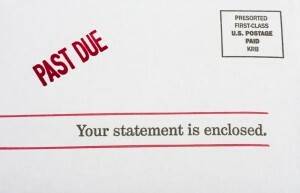 And, many fuel companies hesitate to call a third-party debt collector for help for fear of alienating customers as well as losing control over their accounts. You work hard for your customers and you don’t want to lose any. APR acts as an extension of your accounting department providing effective solutions for collecting overdue accounts while handling your customers with respect and diplomacy. We know there are many reasons for customers to lag on their payments. In the past, it was a struggling economy. More recently, with a brutal winter, many customers have trouble handling their financial obligations. Whatever the issue is, our team will get in the game early, work closely with you and your customer and come up with amicable solutions to get you paid and ensure you can still serve that customer. We treat your customers with value and respect; that’s the way it should be. We will help your fuel business get back to servicing customers while increasing your profits. Call us today and let’s get you back on track!